For many years I dabbled in photography and art, trying to either reproduce reality or to create fantasy. I was not much good at either. All around us there is a world that is neither reality nor fantasy. A world of light that exists but which cannot be seen. It is a world of wonder, of power and of astonishing beauty. It is a world lit with the light of infrared. Over many years, I have learnt to see the world through infrared eyes. And an infrared heart. Everywhere I look, I have come to discover beauty unseen. Every flower reveals a new bloom. Every cloud unveils its invisible new lining. Every landscape becomes an alien world that, somehow, we have always lived in. No matter how often you have seen the world, it lies in wait for you anew in the world of infrared. 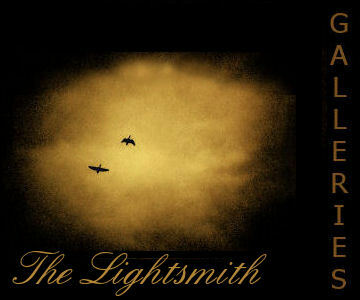 Welcome to the world of the Lightsmith. I will take you on a journey. Using specially modified infrared cameras and unique image enhancement techniques, we will visit places together that you thought could only exist in heaven. Or hell. We will time travel, visit distant planets, transcend dimensions. Come - open your eyes to a new world. Note: Frames shown for illustration purposes only.